Hambantota District MP and former President’s son Namal Rajapaksa and three others, who were in custody, have been granted bail, Ada Derana reporter said. The suspects were released on bail after being produced before the Colombo Magistrate, a short while ago on Monday (22) afternoon. 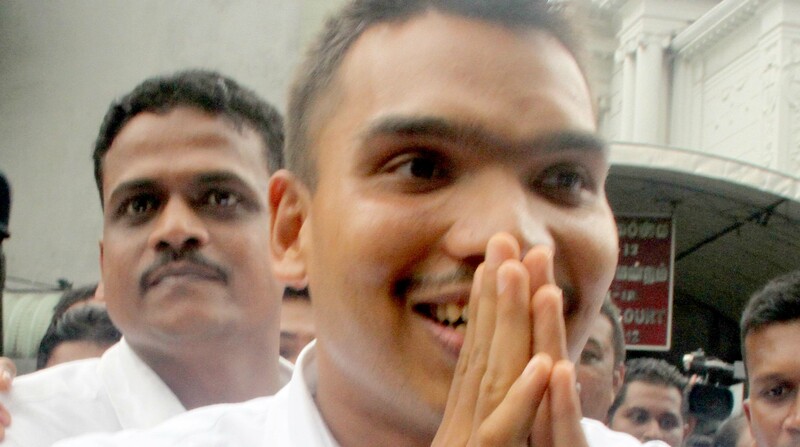 Namal Rajapaksa and five others were earlier named as suspects over money laundering charges. The case was filed over the allegation of purchasing shares worth an estimated Rs.125 million from the company called Hellocorp. It was the second time he had been arrested. In July, he was arrested in connection with a separate case on suspicion of misappropriating of funds in a $650-million apartment project and was released on bail after seven days in detention on remand.